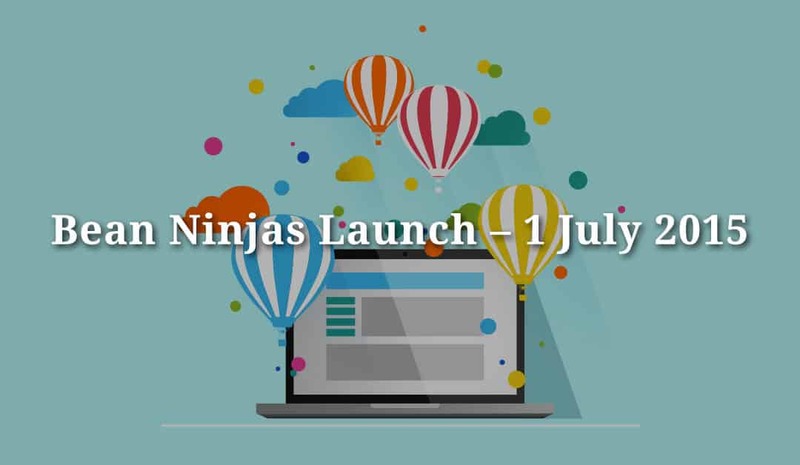 We’re excited to announce the launch of Bean Ninjas today! Accessibility – Once a business has sufficient sales to justify the cost of a bookkeeper, there needs to be regular communication between the business owner and bookkeeper. Entrepreneurs are busy people and an accountant that is only available between 9-5pm isn’t much use. No fee surprises – most accountants still charge by the hour and won’t quote up front, which regularly leads to nasty fee surprises. Education – there are a huge number of rules and regulations that business owners need to be aware of. Accountants traditionally complete the compliance work but don’t educate clients throughout the process. With Bean Ninjas we aim to address the problems above by having a global team of accountants available 24/7, affordable fixed-fee pricing and a supportive ethos where we educate clients along the way. We’re looking for more clients to join us, so until the 31st of August 2015 we’re offering free Xero setups and conversions with all signups. If you’re interested, or you know someone who is, please get in touch. We have some great blog posts on the way, including useful Xero tips and more advanced topics like business structuring, so subscribe below, or follow us on Facebook and Twitter, to keep up to date. Happy new financial year everyone!